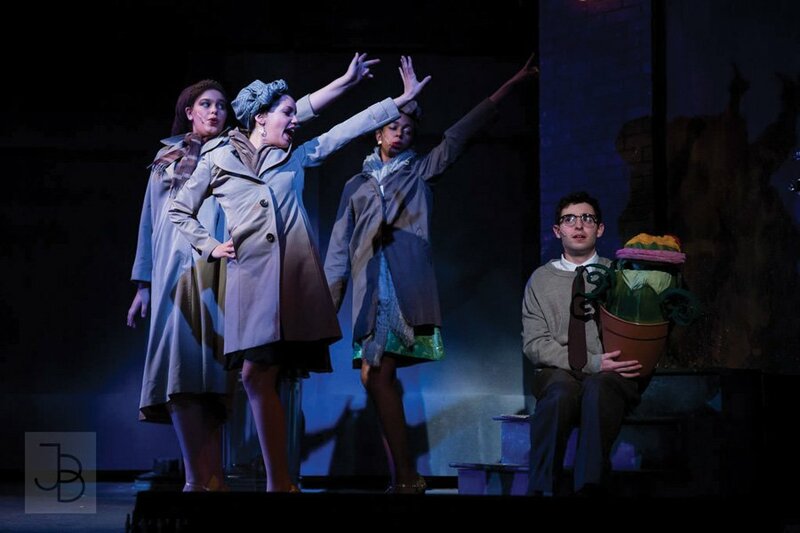 Students perform in this past year’s production of “Little Shop of Horrors.” Dolphin Show announced “Ragtime” as next year’s production. The Dolphin Show announced “Ragtime” as its 76th production, which will come to Cahn Auditorium this January. “Ragtime” follows the stories of three diverse families in their pursuit of the American Dream at the turn of the 20th century in New York. The lives of an affluent white couple, Jewish immigrants and a black ragtime pianist and his girlfriend all become entwined throughout the musical, said SESP junior Prateek Singh, artistic producer of the show. Singh said “Ragtime” tells a story of empathy and what it means to understand diversity in America. The musical allows the audience to be deeply impacted by the characters and “filled to the brim” emotionally, he said. The Dolphin Show put on “Ragtime” in 2011, but Communication sophomore Abigail Doermann, a production manager of the show, said this year’s show will likely be “entirely different” from the 2011 production because of different people involved. The team also hopes the show will have a different resonance for the audience now than in 2011, she said. Though “Ragtime” deals with issues such as race and immigration, show director Michael Herwitz said the emotions and stories of the characters are at the heart of the musical. “Ragtime,” the Communication junior said, provides the “right emotional experience” because of its timeliness without focusing purely on politics. Doermann said the show is both complicated and accessible. The show discusses themes that are politically relevant in today’s society without politics being the main drive of the show, she said. When selecting this year’s show, Herwitz said, the executive team wanted a show that would involve a large group and have a story people really wanted to be a part of. Singh said “Ragtime” is a difficult title to pull off well, because the show has many large group numbers that require a lot of ensemble involvement. Additionally, the music is technically challenging, he said. The Dolphin Show exemplifies what’s possible when people put their minds together toward a shared vision, Singh said. It’s an all-inclusive organization and allows anyone to be involved in some capacity, he said. The Dolphin Show will have about 200 people working on it, with a cast of about 35 to 40 this year, which is larger than most NU student productions, he said. Herwitz said he thinks “Ragtime” is one of the “best shows ever written,” adding he is excited to involve as many people as possible to bring the show to life.